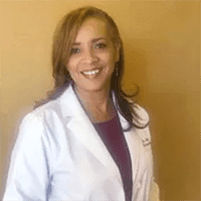 Dr. Leita Harris always appreciates feedback from her valued patients. To date, we’re thrilled to have collected 15 reviews with an average rating of 4.87 out of 5 stars. Please read what others are saying about Dr. Leita Harris below, and as always, we would love to collect your feedback. Very informative. Patient. Highly recommend. I attended Dr.Harris’s office for GYN concerns. As soon as you walk in there is a lovely scent of lavender in the air. The environment felt very relaxing and warm. Right from the start I was greeted by the friendly and welcoming staff with a smile. The wait time in both front and back office was very minimal. The back office staff was friendly, caring , knowledgeable and very professional. Dr.Harris is just absolutely amazing. She is conscientious, caring ,professional, thorough, and she truly cares about your wellbeing. She patiently listened to all my health concerns and answered all of my questions. She also made me feel very confortable, which is very important when your naked waist down for a GYN Exam. I definitely recommend Dr.Harris to anyone looking for a New GYN. From the moment I get there, front desk ladies are all very courteous and professional. Love Dr Leita. Dra. Harris was very plesent, she seem to be updated and knowledgeable about women’s health and issues. She also made sure to get informed about my health history. She explained every question or concerns I had. I’m pleased with my visits even though it is a little hard on my finances but I’m looking forward to see improvement in my overall heath. Very pleasant and she listens to you very clearly. Always a good experience. Dr. Harris is the best. She is very caring and takes her time with you. You never feel rushed in her office. Angie and all of the other staff are excellent as well. Very friendly and caring. I love Dr Harris’ forward thinking approach and listening skills. She always portrays a positive attitude that permeates through her practice. It's always a pleasure to see Dr Harris. She's amazing !!! I refer her to everyone when I'm asked if I know a ob/gyn woman's health dr. Her office staff is professional and very friendly. DrLeita was recommended by a close friend. I'm so glad I contacted her. Her hormone treatments have really made a difference. Dr Lieta was so caring and thoughtful during my examination I felt completely comfortable. I would recommend her to any women having menopausal issues. Dr Harris is a life saver she helped me through menopause!! I absolutely love this place! Dr. Harris and her staff are wonderful and make you feel so comfortable. They really take the time to get to know you and dont try and rush you out of your appointment. Looking forward to future appointments I have with Dr. Harris! Dr. Harris genuinely cares about my health and every aspect of my life. Her concern and care are so appreciated that she is still my Dr. even though I moved to San Diego 3 years ago! I love Dr. Harris. She is thorough and kind. She actually sits down and talks to you to understand why you're there. I highly recommend her.